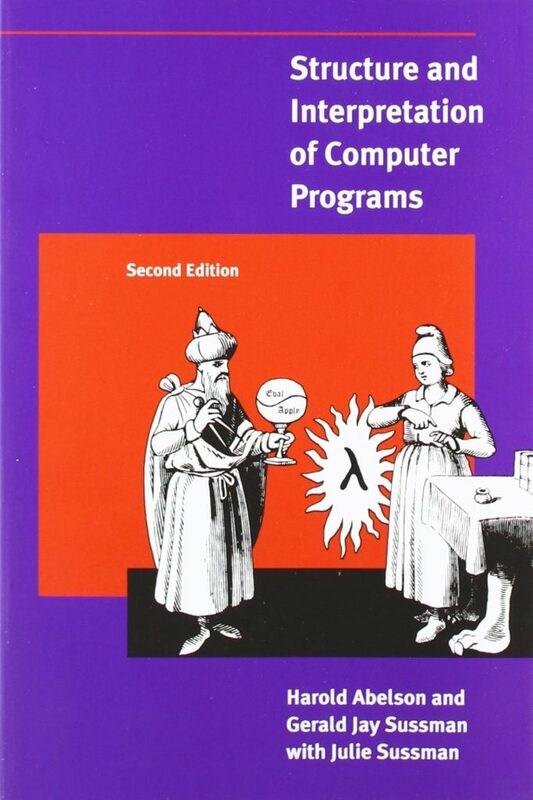 This is regarded as one of the best, most essential programming texts of all time, and “has had a dramatic impact on computer science curricula”. It’s been around for a while, and has acquired a bit of a love/hate patina; it seems that while few serious programmers deny its mind-blowing value, it’s not exactly approachable for beginners, and can turn off those for whom the mind-blowingness hurts. I’m not equipped to evaluate whether or not the material is dated, or how it does or doesn’t succeed for different instructional goals, but I do know any CS book with five-star reviews from Peter Norvig and Paul Graham must deserve the hype. So no, it certainly doesn’t seem like a hand-holding sort of text: Chapter 1 jumps straight into “Building Abstractions with Procedures” and doesn’t seem to let up. It talks about data, modularity and state, metalinguistic abstraction, and plenty other topics related to computation , algorithmic procedures, representation and abstraction…including, of course, plenty of topics (just looking at the many chapter subheadings here) that are thus far barely a notch above meaningless to me. While the book is surely way over my head, and I don’t intend to read it until I get a better grounding in programming, on one level I’m kind of thrilled by the challenge of someday reading it (or even reading it soon just to see what I can and can’t grok). This actually may not be a directly useful book to read, in that it won’t show me how to get hired as a web developer (etc.) — but I think it could be an awesome, if daunting, way to gain a deeper appreciation of this kind of technical material.